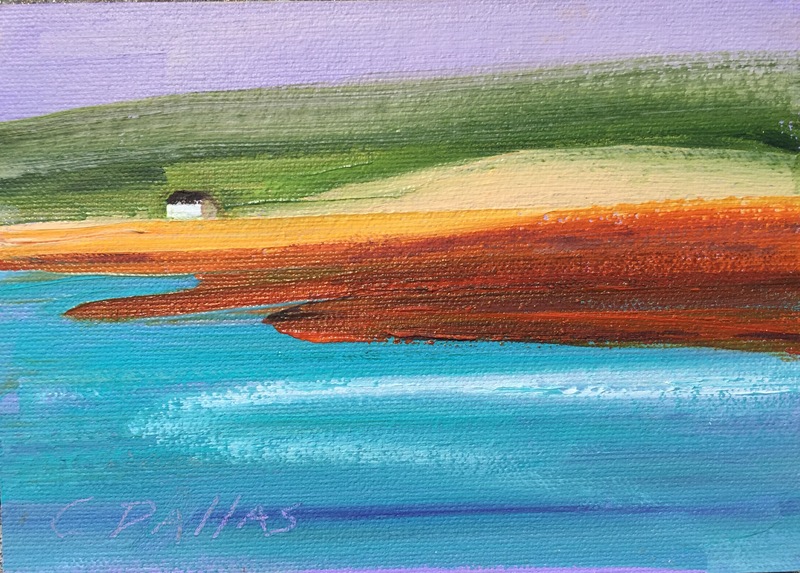 This painting was created on a painting trip to Ireland in the Ring of Kerry. It was inspired by a lone white cottage perched on a hill by the water. It was painted Plein Air and quite spontaneously, which I feel can be seen in the brush strokes.